I bought the book I mentioned, The Joy of Less, on amazon and can't wait 'til it arrives! Additionally, I pared down my books, giving away a total of 21. The first ten wasn't easy, but, then again, not difficult either. However, the next eleven was kinda hard. They're already gone, to the donation bin marked for used books and DVDs, even though there's a lot of advice out there that recommends putting them into a box for awhile and if you don't pick them back out, they all go. ...but I'm a person who comes to decisions easily, so at least with these I can skip all that. So now, including my book in the mail, I have 98 books and 5 cookbooks (to be stored in my next kitchen). Since I love the remaining ones, am waiting on two books to come out on (the cheaper) paperback and want travel guides for future trips, I think I can stick to around 100. I'm not going to obsess over the number. I'll simply try to stick to the 'one in, one out' thing. But maybe after reading miss minimalist's book, I'll want even fewer, who knows? Fewer books will certainly make moving easier because they're heavy! 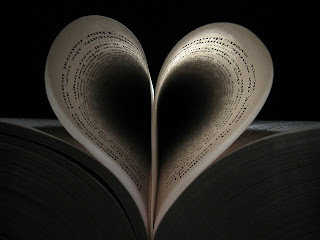 I love my books and I think they say something about you and help make a home more warm. Like I said, I have five cookbooks (four are on Italian cuisine), five favorite hardcover novels (three of which are art-historical fiction), my largest category is Italy travel narrative, but I also have some about other countries, a section of textbooks, dictionaries, and phrasebooks on Italian and (Rick Steves' pocket phrasebooks on) a few other languages, not-so-outdated guidebooks or travel (coffee table-type) books, five art or art-related books and five books that are kinda self-help or non-fictiony. Now that I have some space, I can store things with my books on my bookshelves, like a couple simple white vases perhaps, achieving a more beautiful space. Book Review: "Head over Heel"